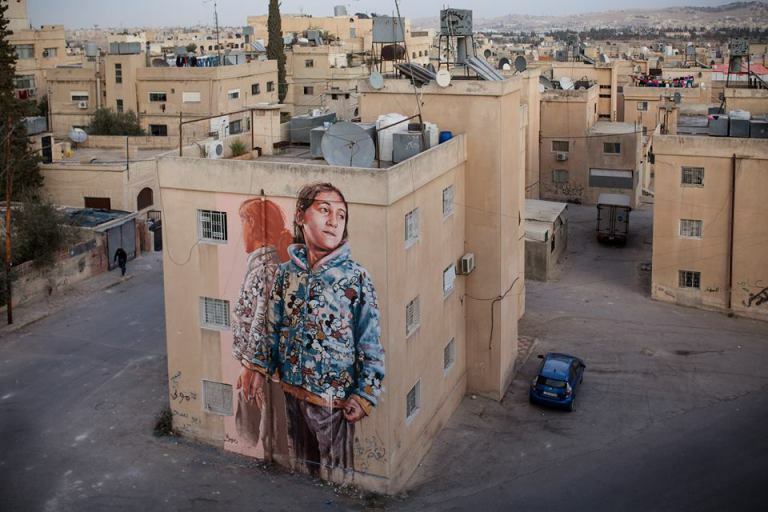 Amman, Jordan: new piece by Australian street artist Fintan Magee for the aptART – Awareness & Prevention Through Art. 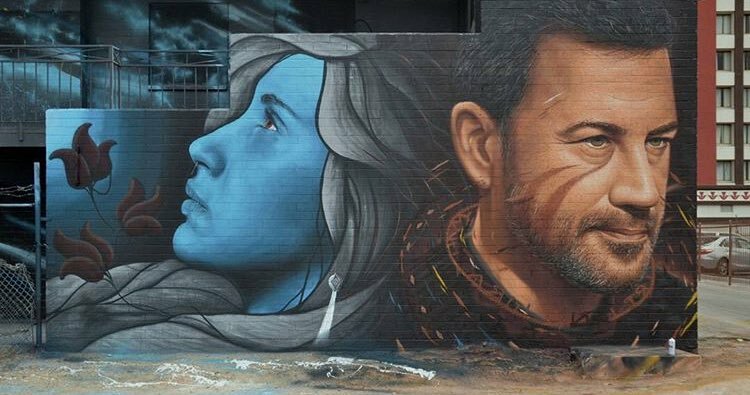 Las Vegas, USA: new piece collab by Jorit Agoch and Leticia Mandragora. 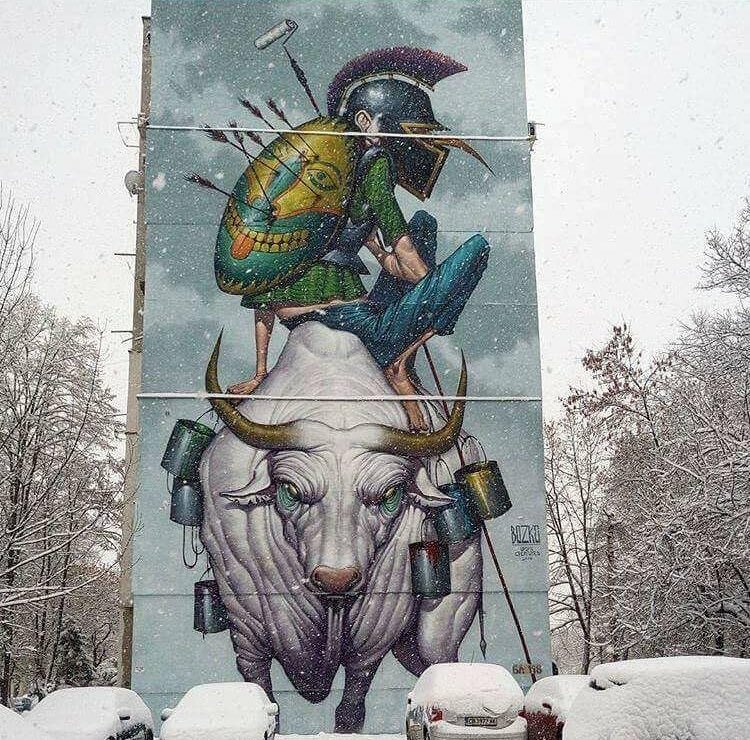 Sofia, Bulgaria: new piece by Bozko.